Bahria College Karachi students have tremendous capacity building traits to attain remarkable results. Together with capacity enhancement, they possess unmatched academic acumen to become High Achievers and move on from one level to the next and the next...bringing laurels to the institution. Bahria College Karachi extends heartiest felicitations to the High Achievers and the Parents of the High Achievers of the Academic current Session. 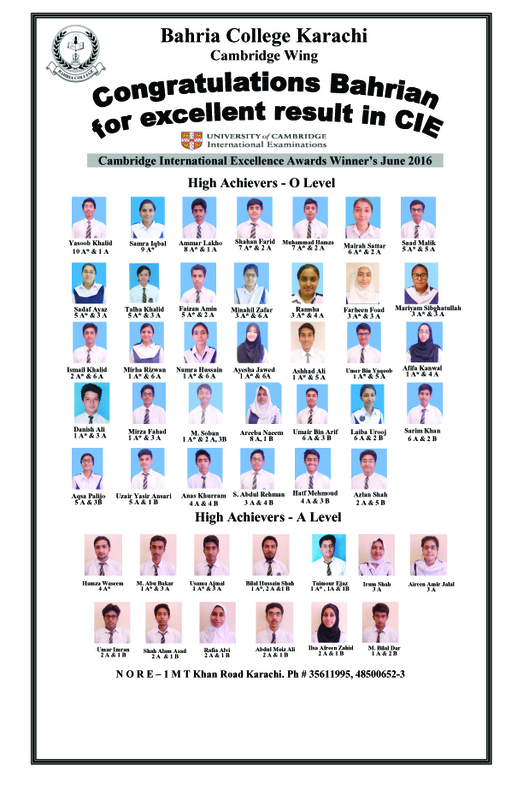 Congratulations, one and all, for making it to the top...BCK is proud of you!! !